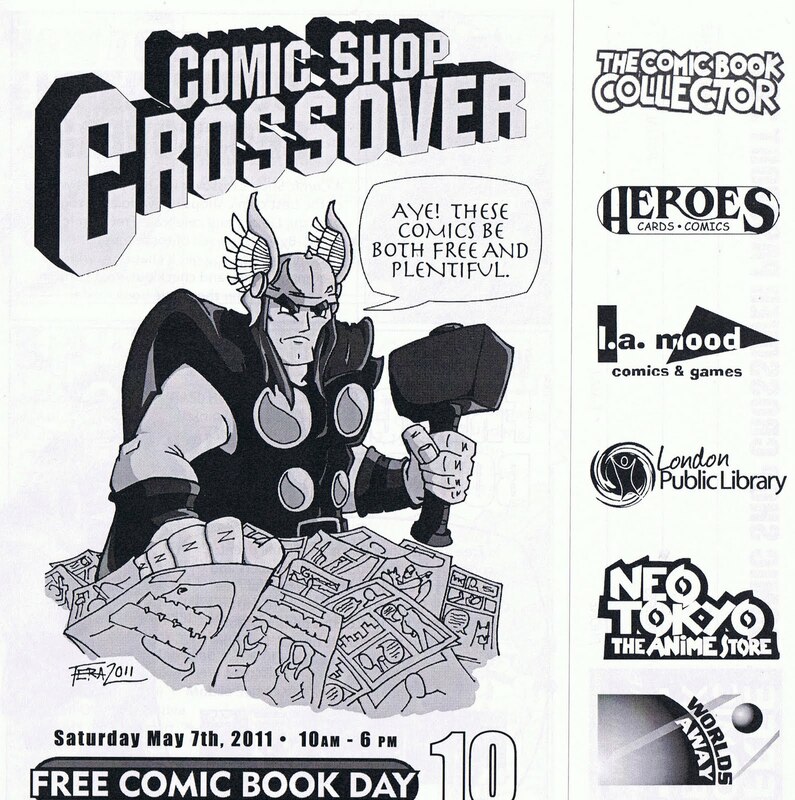 FCBD in London, ON — comic shops actually working together? Not every comic city is engaging in a battle for attention. London, ON is holding it’s annual passport to FCBD event, where the comic shops in the city actually work together (…for the most part, 5 out of 6 is a great number…) for the good of the industry and the retail environment in the city. Visit these 5 stores and the Central Branch of the London Public Library and get your passport stamped at each place, and drop your ballot off at the last stop for the draws! Winners will be announced on Monday May 9th, 2011. The Library will be hosting the first official FCBD Costume Contest at 2:30 PM, open to all ages, register before 2:15PM. Prizes will be awarded in various age categories. $50 in gift certificates and Downtown Dollars for Best in Show in each category, $10 gift certificates for 2nd prizes in each category and graphic novels for the runners up! Prizes donated by the Comic Shop Crossover stores! Have fun, kids of all ages (and the retailers, too)! This entry was posted in Happenings, Newspaper articles, Retailers by joeshusterawards. Bookmark the permalink. Sounds like a great idea. Toronto comic book shops have worked together before, there have been Scavenger hunt contests similar to the passport idea that have been tried before. Nothing like that this year though. My husband and son have been attending these since the beginning and they thoroughly enjoy the event. The event has been growing each year, here in London. The cooperation is wonderful and this is a very fun family event. This is such a cool idea, I’m very envious of Londonites (I think I made this one up) right now.